Home » » OFFICIAL: 'Mockingjay - Part 2' Lands on Blu-ray/DVD March 22 (U.S.) - Digital HD March 8 - 4K Ultra HD Soon? 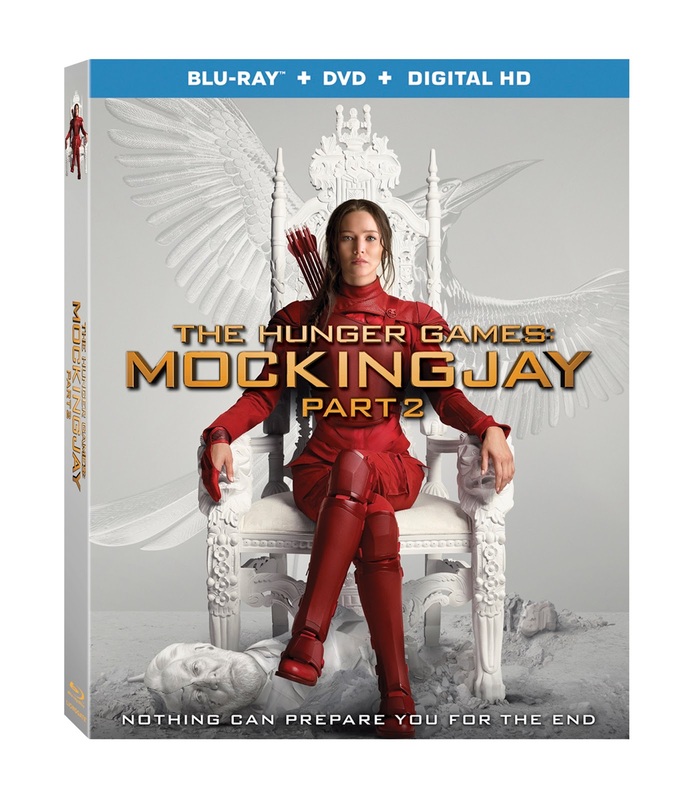 OFFICIAL: 'Mockingjay - Part 2' Lands on Blu-ray/DVD March 22 (U.S.) - Digital HD March 8 - 4K Ultra HD Soon? In the United States & Canada, the film will be released on March 22 in Blu-ray + DVD and DVD editions. The film will also be released on Digital HD platforms including iTunes, Google Play, VUDU and Amazon Video on March 8 with all the physical editions including a code to download the film on Digital HD. As reported previously, there should also be a 4K Ultra HD + Blu-ray edition out at a later date, and it's currently available to pre-order from Amazon Canada. UPDATE: the 4K combo pack is now "currently unavailable" on Amazon Canada, so stay tuned for more info. The DVD edition will include all of the above minus the behind-the-scenes documentary and Jet to the Set. The iTunes store HD release - in all English-speaking territories at least, as with Part 1 - should include the above full set of Blu-ray bonus features. On the technical side, like Part 1, the Blu-ray editions come with immersive Dolby ATMOS audio - this high-resolution English audio track should be available on most international Blu-ray releases. The upcoming 4K Ultra HD Blu-ray will present the film at 4K resolution - 4x higher quality than full HD - with HDR (high dynamic range) processing for sharper, brighter and more vivid colours. The 4K edition requires a 4K TV and a compatible Ultra HD Blu-ray player, and it is unlikely to be available outside the U.S./Canada but you can order to your country from Amazon Canada just beware possible extra shipping and import costs. As usual, there will be multiple retailer-exclusive editions on sale in the U.S.. Target will carry an exclusive Blu-ray + DVD digipak, which includes a bonus DVD with 45 minutes of extra content and a fabric poster upon preorder! Best Buy will carry the standard Blu-ray + DVD edition in exclusive steelbook packaging, and Wal-Mart will have 'double feature' Blu-ray and DVD packs of the two Mockingjay films, do be warned as they likely to have zero special features and lower audio and video quality - in other words a 'barebones' edition. 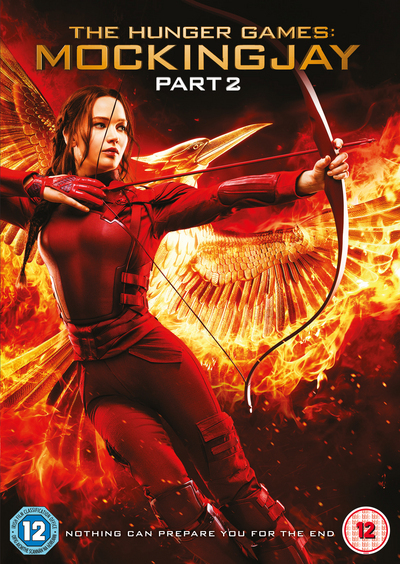 And finally, Lionsgate are releasing a 4-film franchise box set in separate 6-disc Blu-ray and 8-disc DVD editions as well as on Digital HD at the same time as the final film - featuring existing bonus features from each film's respective releases including the behind-the-scenes documentaries for the first time on U.S. DVD, the Target-exclusive extras from the first three films (excluding MJP2), 12 brand new deleted scenes from The Hunger Games and 1 new deleted scene from Catching Fire, as well as two new featurettes "Picturing Panem" and "Capitol Cuisine". 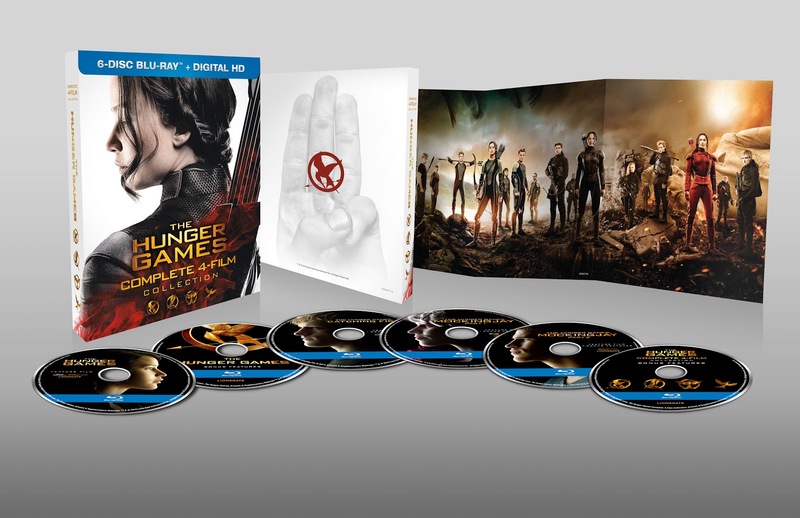 We expect an 'ultimate edition' set with special packaging, more never-before-seen bonus features, and the previous films on 4K Blu-ray, to be released at a later date. As for outside the U.S./Canada, this is where it gets a bit more complicated, with all the different formats, packs and release dates. 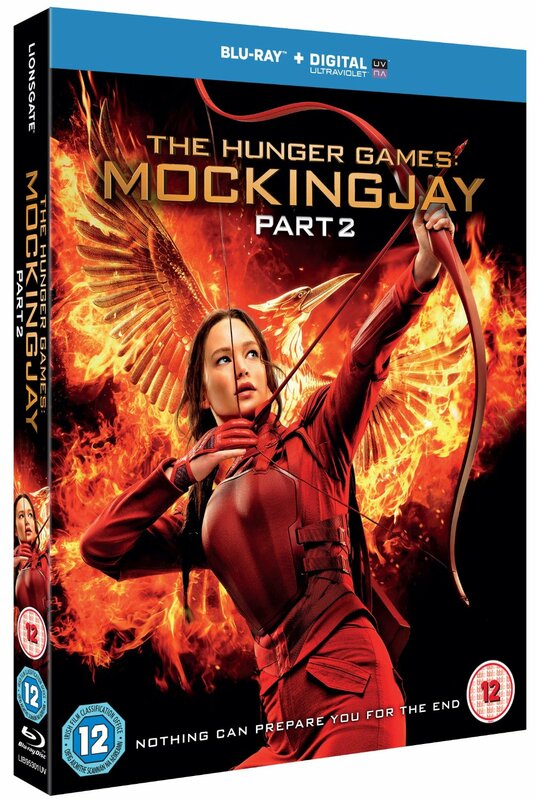 The UK (cover art above) will see the film released on March 21 in Blu-ray 3D + Blu-ray as well as Blu-ray-only and DVD-only editions. 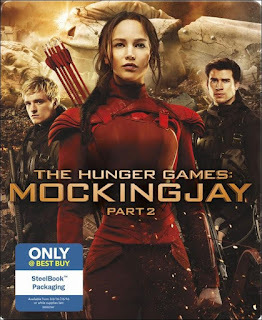 (Digital HD also March 21) The Blu-ray 3D edition will have the film presented in 3D and requires a compatible 3D TV and 3D Blu-ray player. 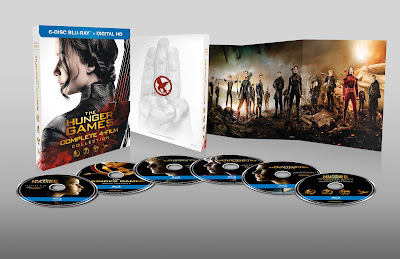 The Blu-ray edition will also be available in steelbook packaging, and Sainsbury's will also stock the Blu-ray edition with Target's 45-minute bonus extras DVD in store only. The 4-film Complete Collection, sharing the same art and packaging as the above U.S. edition but only 4 discs - so no new deleted scenes and featurettes - will also be available on March 21. 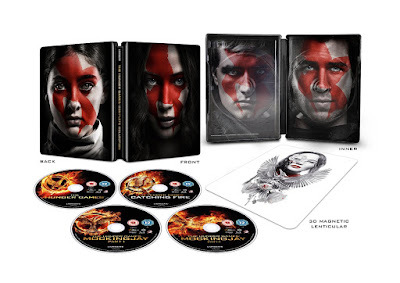 Amazon UK will exclusively carry a Blu-ray steelbook version of the set, featuring the Faces of the Revolution poster art, and a lenticular cover based on the IMAX poster. 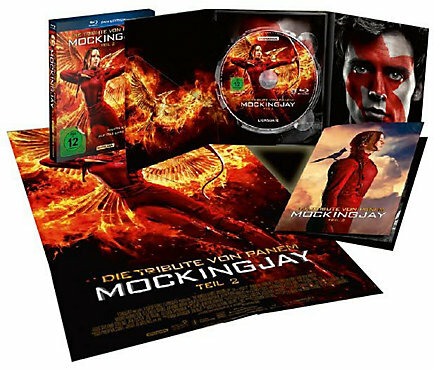 Germany, alongside similar regular BD3D, BD and DVD editions (with the DVD editions including the Pawns No More BTS documentary on a bonus disc, and each edition including the Target exclusive bonus features, a booklet and a poster), will have very special 4-film sets on both DVD and Blu-ray, collecting all the standard extras and BTS documentaries. 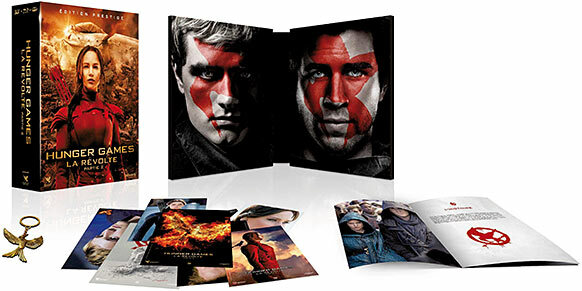 The sets will feature the films packaged in a slipcase and have a limited bound 100-page book featuring poster art, stills and more from the franchise, as well as online access to the U.S. complete collection extras! 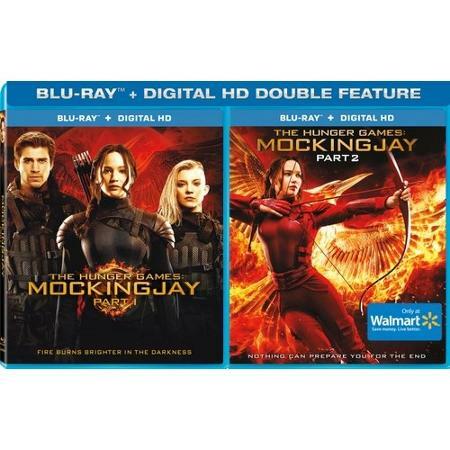 And the Blu-ray edition of the set will feature both Mockingjay films on Blu-ray 3D! Spain will have standard and 'special edition' releases of the Mockingjay - Part 2 Blu-ray - with the standard BD and the DVD not featuring the BTS documentary, and the 2-disc 'special edition' Blu-ray including the documentary as well as the 45 minutes of Target-exclusive special features on a bonus disc, much like the German release. 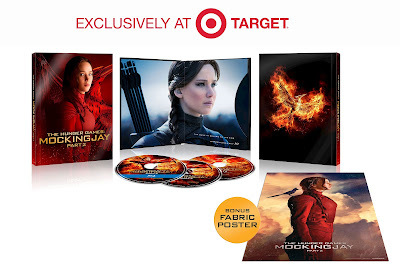 There will also be a two-film Mockingjay pack on Blu-ray and DVD, but without the full special feature set. The Benelux region (the Netherlands, Belgium and Luxembourg) release will come in single-disc and two-disc (with all the special features from the Blu-ray including the Target exclusives) DVD, editions, as well as Blu-ray + Blu-ray 3D editions with the aforementioned extras. 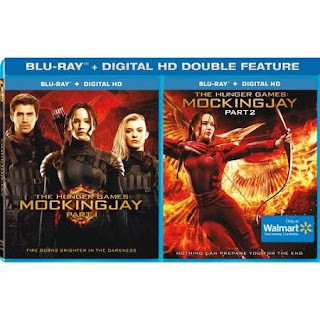 The great news is that as well as 'standard' 4-disc Blu-ray and DVD 4-film collections, there will also be 8-disc "Ultimate Mockingjay Edition" collections on Blu-ray and DVD, with all the bonus features from the 4 films' Blu-rays, including the Target exclusives for each and the brand new deleted scenes and featurettes from the first two films! 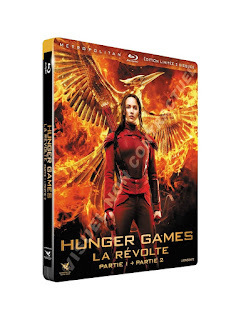 France will probably go down in history with the most number of different Mockingjay - Part 2 releases - 14 so far counted, out March 22! 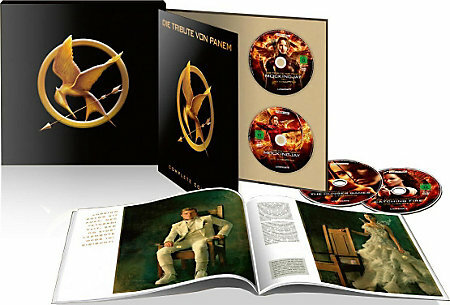 The film will be released in a Blu-ray 3D + BD + DVD "Edition Prestige" edition (see awesome packaging below! ), as well as Blu-ray only and DVD only editions, with Complete Collection 4-film box sets available too. 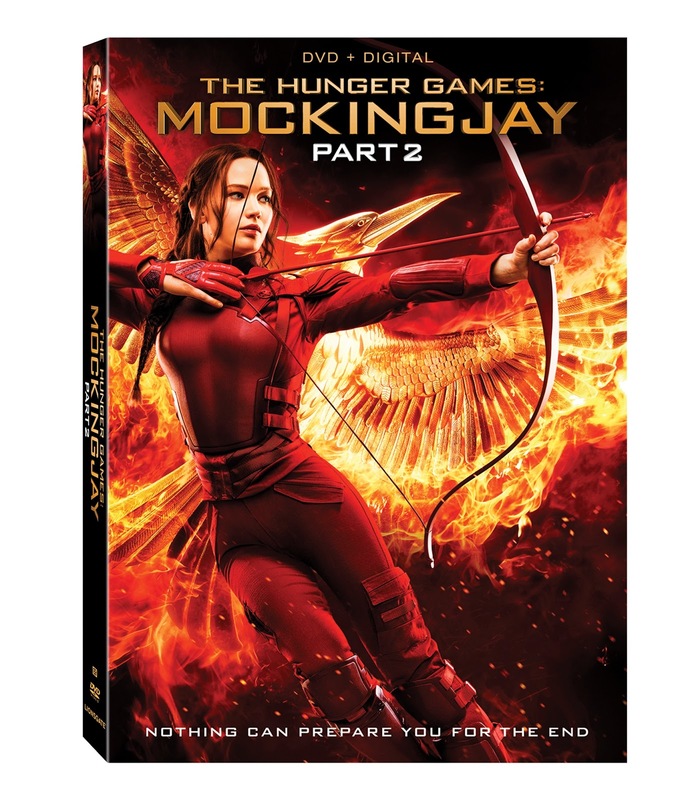 And here's the kicker - the "Edition Prestige" of Mockingjay - Part 2 and both the DVD and Blu-ray Complete Collections will include the bonus disc from the U.S. 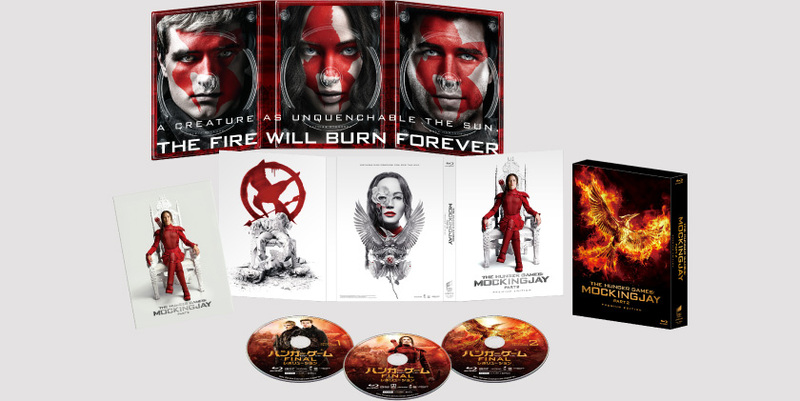 Complete Collection, and the Mockingjay - Part 2 Target-exclusive bonus features will too be available on all editions when pre-ordering from Fnac! We expect similar arrangements in other international markets for the standard Blu-ray and DVD but do make sure to check with your local distributor regarding release dates and what formats are available. 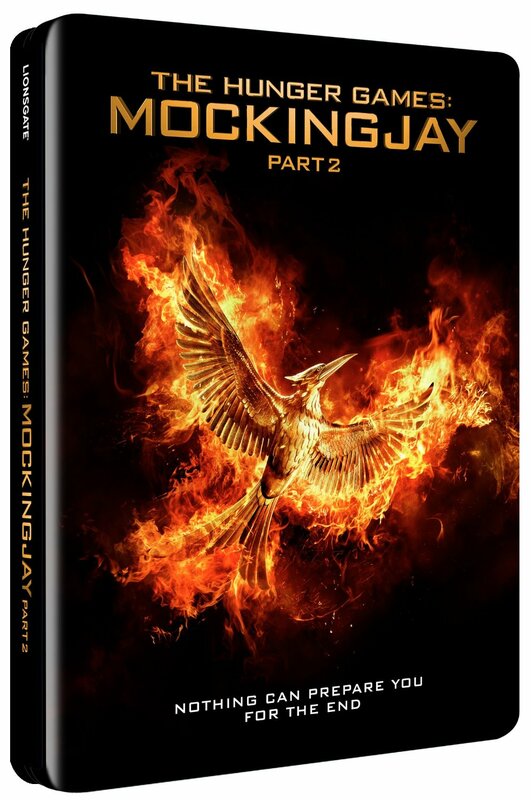 Also stay tuned for news of a possible very very limited edition steelbook Blu-ray release coming soon from FilmArena or other similar manufacturers - see their Mockingjay - Part 1 edition here. Check out a selection of physical edition pre-order links (Amazon unless otherwise indicated) and release dates for various countries below. Do keep in mind - if a preferred edition isn't available in your country, you can in most cases order from a different country's Amazon but beware of possible extra shipping and import costs, region-locking and language selections.